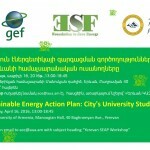 Yerevan Sustainable Energy Action Plan: City’s University Students Speak! 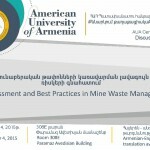 Event Title: Yerevan Sustainable Energy Action Plan: City’s University Students Speak! 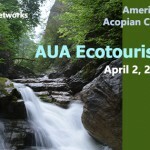 To accelerate development of ecotourism in Armenia by creating a platform for exchange of ideas and experiences as well as creating a network of stakeholders the AUA Ecotourism Conference brought together more than 480 stakeholders, representing over 100 organizations and communities, from all corners of Armenia and Nagorno-Karabakh. 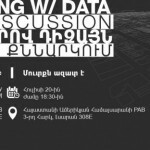 Sustainable Energy Systems in the South Caucasus: Reality or Illusion? 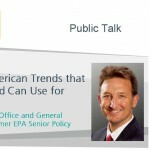 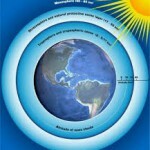 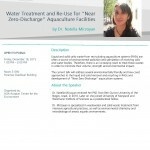 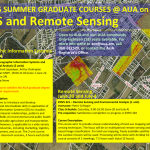 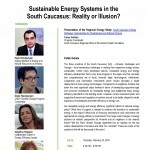 Event Title: Sustainable Energy Systems in the South Caucasus: Reality or Illusion?